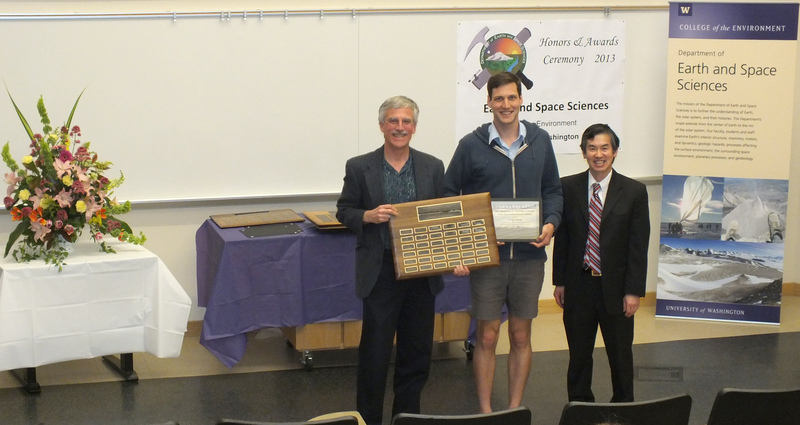 The 2013 Honors and Awards Ceremony was held on Thursday May 16th at 3:30 pm in JHN-102, hosted by ESS Chair Robert Winglee. There were numerous honors, awards, and scholarships given during this ceremony before adjourning to a reception in the Johnson Hall Courtyard. 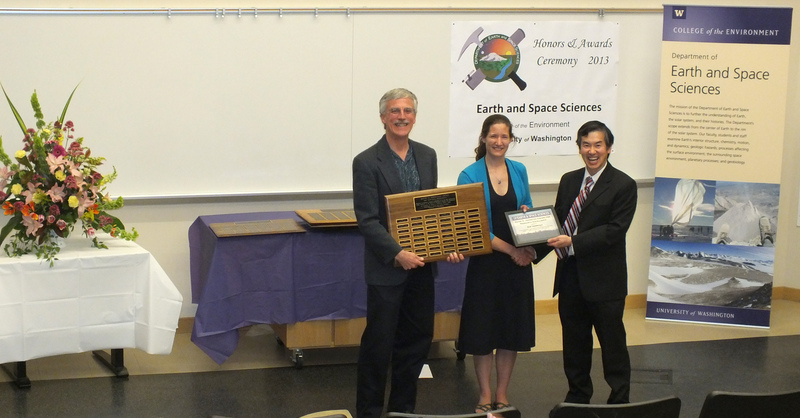 Heather Bervid receiving the Undergrad Service Award from John Stone and Robert Winglee. Mika Usher receiving the Merrill Prize for Excellence from John Stone and Robert Winglee. Karl Lang receiving the Coombs Excellence in Teaching Award from Ken Creager and Robert Winglee. 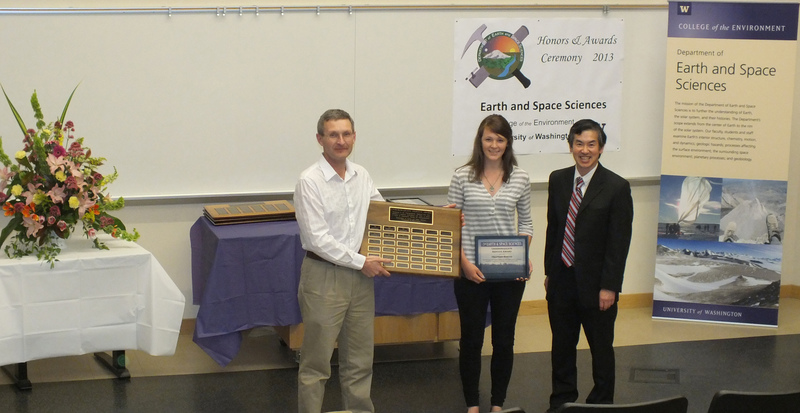 Zoe Harrold receiving the Johnston Prize for Research Excellence from Ken Creager and Robert Winglee. 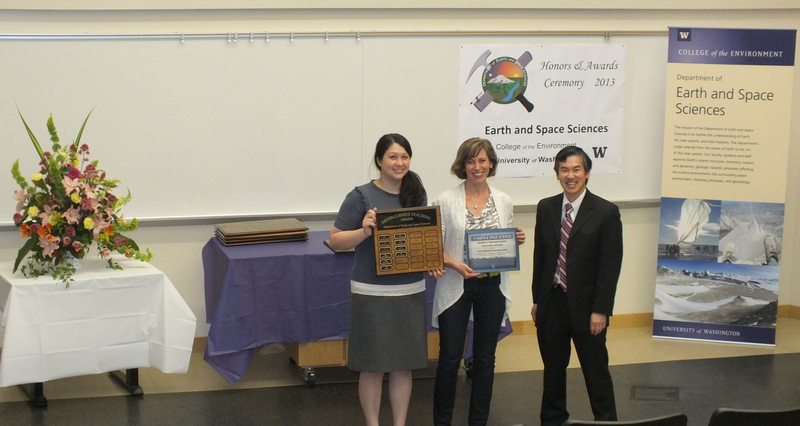 Kate Huntington receiving the Bassett Faculty Teaching Excellence Award from Noell Bernard-Kingsley and Robert Winglee. 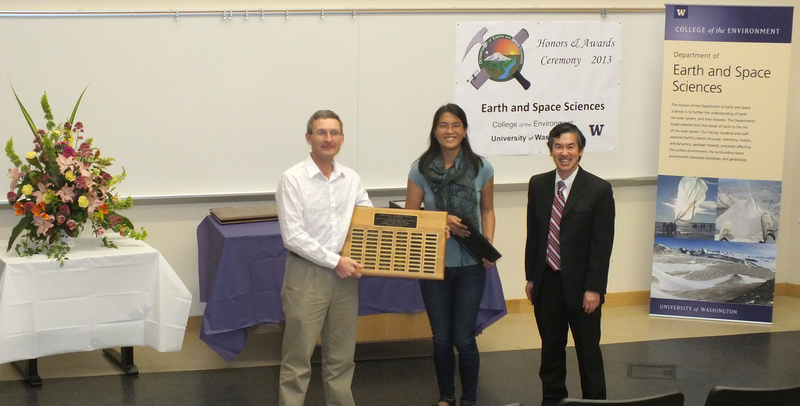 Eric Cheney, Karl Lang, and Eunice Yang receiving the Barksdale Service Award from Robert Winglee and Wilma Boyd. 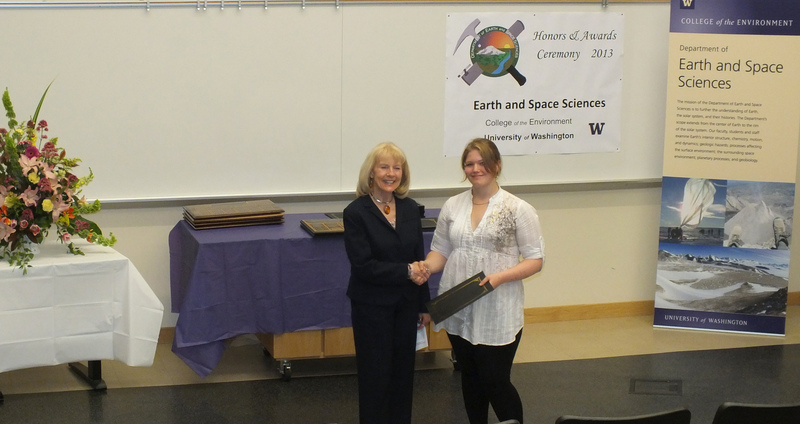 Reanne Wolfley receiving the North Seattle Lapidary & Mineral Club Award from Marcia Skinner.